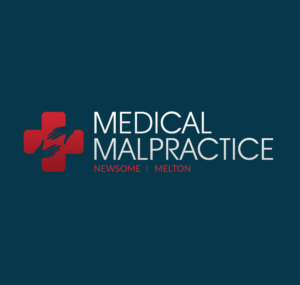 Medical Malpractice Help » Medical Malpractice Causes » Legal Information » How Do I Know If I’ve Built Up an Opioid Dependence? Opioid addiction in this country has reached epidemic proportions. The first wave of opioid overdose deaths began in the 1990s when these highly-addictive painkillers became more widely prescribed. However, according to the Centers for Disease Control and Prevention (CDC), there were six times more overdose deaths involving opioids in 2017 than in 1999. The problem is growing, and we are all affected. Any individual is at risk for developing a physical dependence on opioids, known as addiction. Certain people have an increased risk. But how do you know if you are becoming dependent on your opioid painkillers, such as Vicodin or Oxycontin? If you are concerned that you or a loved one is becoming dependent on opioids, the following information may help. To help identify painkiller abuse in others, watch out for these warning signs. Similarly, if you notice yourself engaging in any of these behaviors, or displaying any of these physical symptoms, you may wish to get help. In certain situations, especially when dependence is suspected early on, some patients may be able to resolve their abuse by simply discussing options with their doctor to wean off the medication as soon as possible. For others, it may take weeks or months. And for some people—more than 70,000 per year—the addiction leads to overdose and death. Did medical negligence contribute to your injury? Your physician or other health care provider may be at least partially liable. Opioids are highly-effective and highly-addictive painkillers. Although they were initially prescribed for severe pain, such as that associated with surgical procedures and serious injuries, it has become far too easy to obtain opioids for even minor injuries and pain. Especially in these situations, opioids are often given when a non-narcotic alternative could have been more than enough. Provide a sufficient explanation of the risks involved. Monitor any patient who continues to take opioids for an extended time. Refer sufferers of chronic pain for alternative treatment therapies. Did your physician conduct a comprehensive assessment before prescribing you opioids, and did he/she monitor you throughout the entire course of treatment? Were you misdiagnosed for the condition for which you were prescribed opioids? And if so, would a non-narcotic alternative have been adequate for your actual condition? Were you sufficiently warned about the risks associated with opioid use, how to identify warning signs and symptoms of dependence, and whether any current medications could have dangerous interactions when combined with the opioid? Don’t go through this difficult time alone. If you have been injured due to the negligence or carelessness of a medical provider, you may be entitled to compensation for medical expenses, pain and suffering, and lost wages. We can help. Call the law firm of Newsome Melton today at 855-633-2757 for a free consultation about your case.